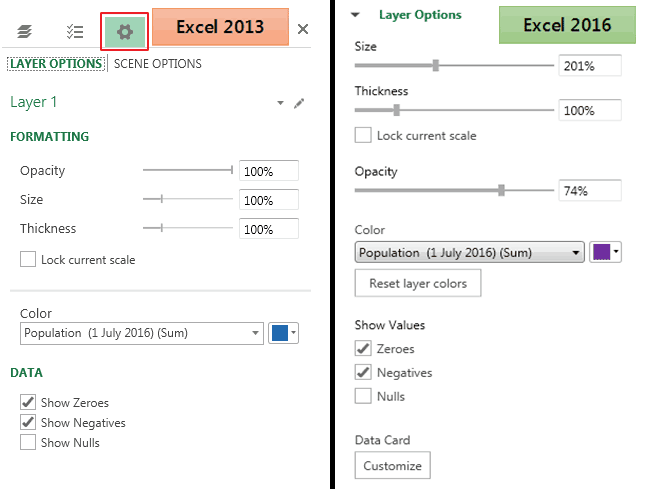 This tutorial by Nick Williams, a MapInfo trainer at Acuity Training, provides an overview of how to create a map in Excel using 3D Map for Excel 2016 (or Power Map for Excel 2013). Nick’s previous tutorial was on Creating and Editing Features with MapInfo. 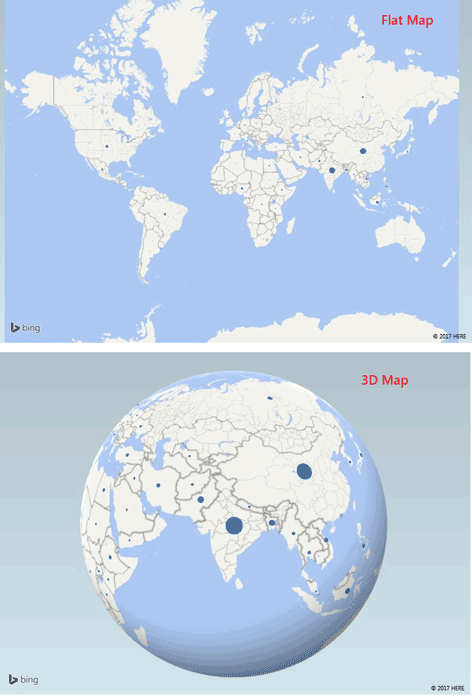 A little known add-in in Excel is 3D map (known as Power Map in Excel 2013). 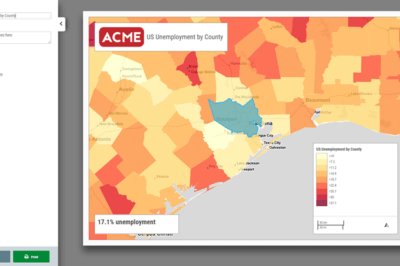 This allows you to very quickly and simply visualize and present data that has a geographic element. As a Microsoft product, 3D Map uses Bing maps as its underlying product and allows you to create either 3D or standard maps overlaid data that can be presented in a variety of different ways. 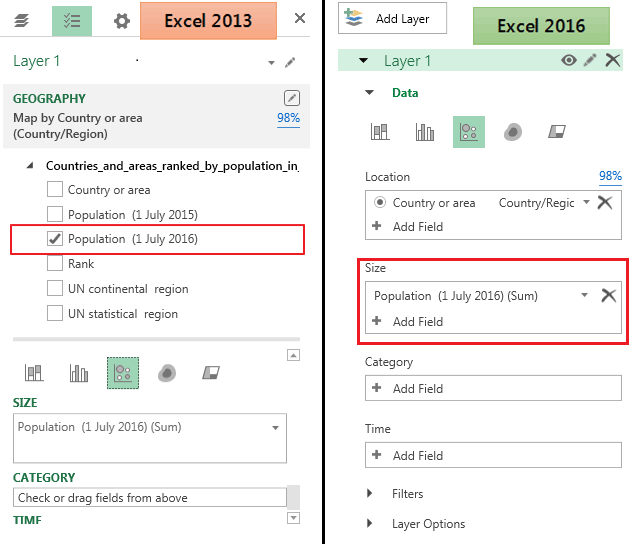 If you have Excel 2013, these steps walk you through installing the Power Map add-in and creating a couple of very simple maps. 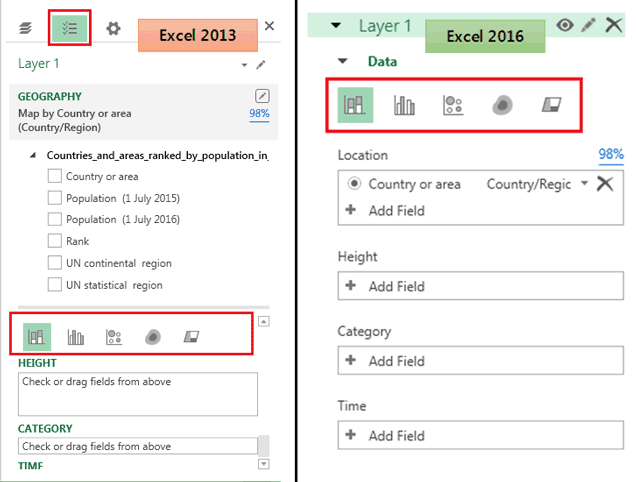 If you are working in Excel 2016, skip ahead to the Plotting Graphs in 3D Map section. 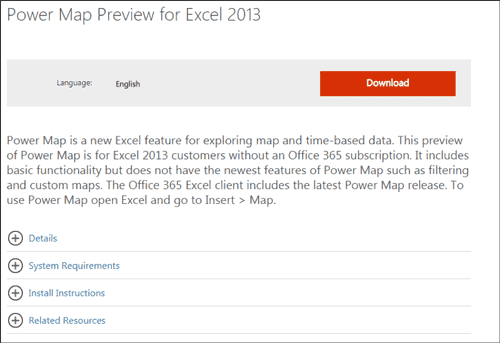 Please note that Power Map is pre-installed in 2016 (aka 3D Maps in 2016) but that a manual installation is required for Excel 2013. The earlier versions of Excel don’t support Power Map. Unfortunately, Power Map is compatible on Windows operating systems only. 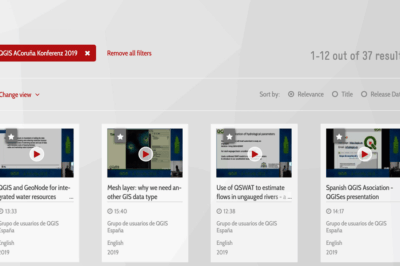 Download the plugin from Microsoft website. If the URL isn’t working for you, search for “Power Map Preview for Excel 2013” in Google and go to the link from the Microsoft’s website and download it there. Make sure that you download the right version i.e. 32-bit or 64-bit version depending on the operating system that you are using. Once it has downloaded, launch the installation and follow the on-screen instructions to complete the setup. After the installation is completed, check the Insert tab for Power Map section with a Map It should be as shown in the screenshot below. If you don’t see it as shown above, you might need to activate it in the Add-Ins menu. 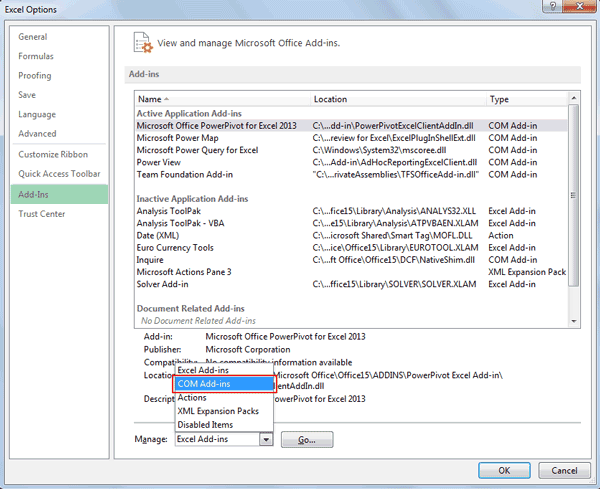 You have now setup the Power Map Add-in if you are using Excel 2013. Before we start, please note that you should be connected to the internet to use 3D Map/Power Map as it will need to access Bing maps to create a base map. The centroid of a country is automatically used to plot the maps. For our example data let’s use population data for the 50 most populous countries from Wikipedia. It is available at this link or you can access it from the file below. NB this file contains the full data set not just the population for the top 50 countries. 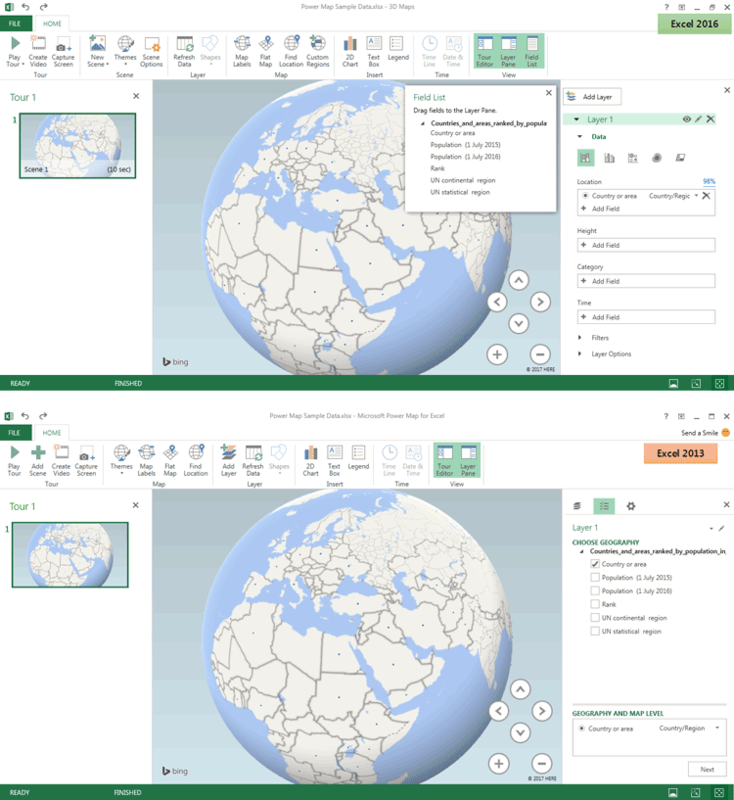 Where to access 3D Map in Excel 2016. 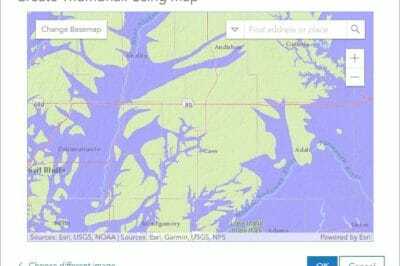 Where to access Power Maps in Excel 2013. You’ll see that first option you get is to choose the geography / location. In the current example, we will select Country or Area. For Excel 2013 you will then need to click on the NEXT button in the bottom-right corner of the page to be take to the settings menu. You now need to select the data that you want to visualize. In our case we’ll use the Population (1 July 2016) column, so we should select it. Since the data will be mapped out as point locations, this tutorial uses the bubble option to map out and visualize the data. Next you need to decide if you want a Flat map or a 3D Map. Note that there are pre-defined map themes you can choose from and that you can very easily add text descriptions using a text box (see here). There are options to change the formatting of the visualization as well. In the Settings Menu / Layer Options on the right-hand side, you can change the opacity, size and thickness of your data points. You can also select different colors. If you have any time variables in your data you can create a video based on the change over time. The options for this are available on the top left of the screen under in Tour group. After you have explored all the options the final step is to save the map. Within 3D Map/Power Map, the map retains its interactive functions. If you want to use the map in another software application, you will first need to create a copy of the map image. 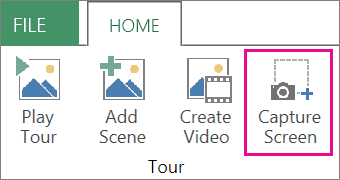 To save as a picture simply use the “Capture Screen” button in the Tour group, as above,and paste (Ctrl + V) the picture wherever you need it.